A literary magazine of photography, interviews, news and reviews. 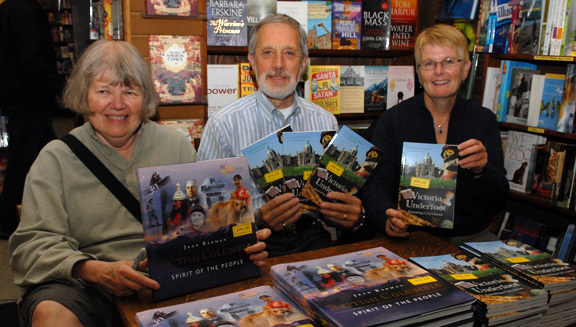 A double signing event at Munro’s Books with author Jean Barman with her new book British Columbia: Spirit of the People and editors Nick Russell and Brenda Clark with their book Victoria Underfoot: Excavating a City’s Secrets. Both books are published by Harbour Publishing. Copyright © 2019 Literary Photographer. Powered by WordPress.